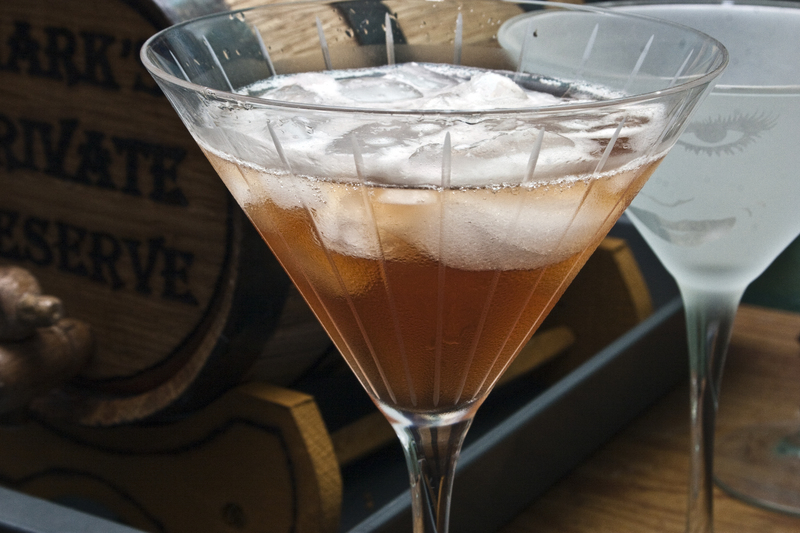 As part of the recent increased interest in tequila cocktails, it’s became somewhat en vogue to take other classic cocktails and simply replace their base liquor with tequila. For example, a classic Tom Collins would become a Juan Collins. Which, by the way, if you google Juan Collins it comes up with a man who has had some run-ins with the law. We decided to stick with that trend and made an adjusted Manhattan with tequila. Combine ingredients in a cocktail shaker filled with ice. Shake well and then strain into a chilled martini glass with a couple of the cubes from the shaker.